The Moana Project is a large cross-institutional team of researchers and PhD students who are exploring ocean dynamics and connectivity, including marine heat waves. New sensors for measuring will help us better understand and manage ocean warming impacts on our seafood industry. We will also explore how mātauranga Māori connects and inter-relates with this physical data. The PhD students will contribute to New Zealand capacity-building in marine science and environmental resources management. The positions include full university fees plus a tax free stipend for 3 years of approximately $27,000 NZ, and some research expenses. Project topics, university and supervisor information are outlined in the link below. Candidates should be willing to start by July 2019. The Moana Project, led by MetOcean Solutions, a division of Meteorological Service of New Zealand (MetService), was awarded $11.5 million over five years from the New Zealand Ministry of Business, Innovation and Employment Endeavour Fund and will shed new light on the performance of New Zealand’s oceans for an enduring seafood sector. The project was conceived through an industry-community-research partnership initiative, bringing together seafood sector data, Te Ao Māori knowledge, cutting-edge ocean sensing, and advanced numerical modelling to provide a reliable ocean forecast system to support marine industries. 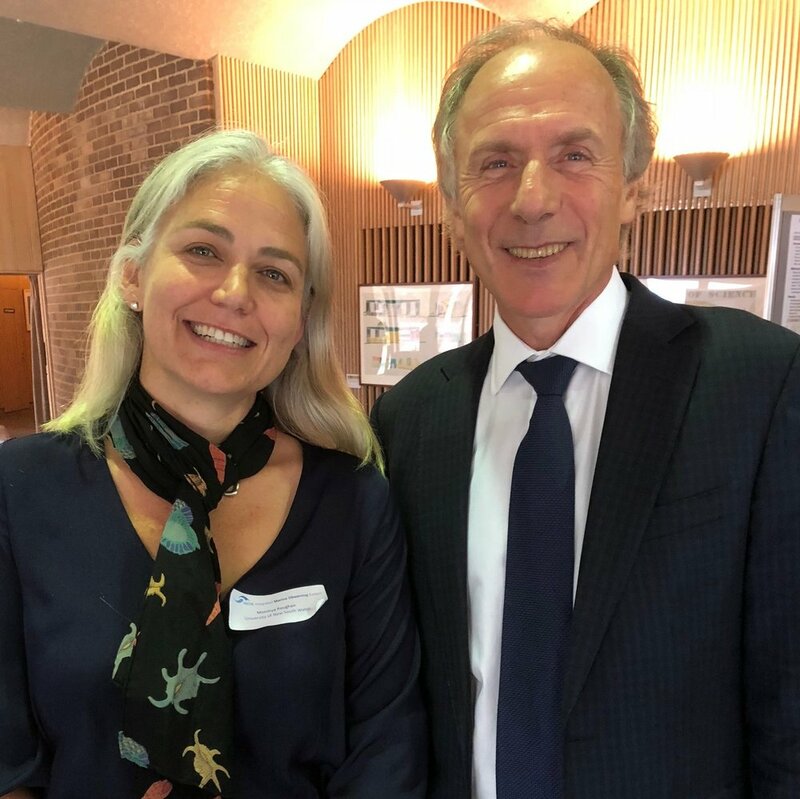 Prof Moninya Roughan, Chief Scientist MetOcean Solutions and Dr Alan Finkel, Australia’s Chief Scientist. Last week the Australian Coastal and Oceans Modelling and Observations Workshop (ACOMO) 2018 was held in Canberra, Australia. MetOcean Solutions’ Chief Scientist Prof Moninya Roughan, part of the organising committee, says ACOMO workshops have been a great success over the years, engaging initiatives to integrate marine observations and to grown national coastal ocean modelling capability. “This year’s conference saw more involvement and representation from marine industry showing the relevance of ocean modelling and observing to supporting blue economy growth aspirations. Prof Moninya Roughan, Chief Scientist MetOcean Solutions and Sally Garrett, Research Lead New Zealand Defence Technology Agency. MetOcean was also represented by Research Lead Sally Garrett from New Zealand Defence Technology Agency who gave a presentation on the Southern Ocean wave project. It is a collaborative effort between MetOcean Solutions and the New Zealand Defence Force to deploy the southernmost wave buoy that has ever been moored in the world, located about 11 km south of Campbell Island. The full abstract of Garrett’s talk is provided below. The combination of persistent westerly winds, and the largely unbroken expanse of sea in the Southern Ocean, produces potentially enormous fetches, resulting in higher wave heights for longer periods than any other body of water. Due to the harsh ocean environment and remote location, it is also the least observed of any major ocean. While satellite altimeter data can be used to estimate the surface variance, the wave spectral characteristics cannot be measured remotely, and consequently the directional wave spectra in Southern Ocean are poorly sampled and not well understood. In February 2017, MetOcean deployed a buoy off Campbell Island. At 52.7S, this is the Southernmost moored deployment to be made in the Southern Ocean. In February of this year, a second deployment was made at the site as part of a wider program in collaboration with the New Zealand Defence Force and Spoondrift which includes an additional five drifting buoys. These buoys complement the Australian SOFS mooring at 47S, and are collectively providing the first high quality in-situ wave observations in the Southern Ocean. They are already measuring phenomenal conditions, with the highest recorded wave in the Southern Hemisphere recorded in May of this year at 24.8m. These data are being used to quantitatively assess the performance of recent improvements in global wave models. An analysis of the relative importance of large scale ocean currents will also be presented. This project will inform the design of next generation of NZ Navy vessels supporting patrol responsibilities in the Southern Ocean. *MetOcean Solutions. ^New Zealand Defence Technology Agency. Check out the Southern Ocean wave buoy direct data feed. From left to right, Craig Ellison, Executive Chair Seafood New Zealand, Prof Moninya Roughan, Chief Scientist MetOcean Solutions, and Tim Pankhurst, Chief Executive Seafood New Zealand. Prof Moninya Roughan, MetOcean Solutions Chief Scientist, presented the Moana Project at New Zealand Seafood Industry Conference & Technical Day in Wellington. The presentation on 'Ocean circulation, marine heatwaves and New Zealand seafood' discussed our understanding of NZ’s ocean circulation, the lack of fundamental knowledge of complex ocean dynamics, and the drivers and impacts of marine heatwaves. New Zealand Seafood Industry Conference & Technical Day, hosted by Seafood New Zealand, was held 1-2 August at Te Papa, Wellington. The conference was built around the theme 'Our people, our promise', representing an opportunity to discuss sustainability, innovation and environmentally responsible practices in the seafood industry. Read more about Prof Roughan’s talk here. The first output from the Moana Project is available. The project team is pleased to release the Hau-Moana data set, the New Zealand atmospheric downscaling. Top panels show low-resolution atmospheric products available globally from CFSR. The lower panels show the benefit of increasing the resolution in a New Zealand specific context around regions of complex topography such as the Cook Strait. Higher resolution modelling increases the accuracy of the data. Oceanographer Rosa Trancoso presented the project at the 2017 NZ Physical Oceanography Workshop in Wellington in mid-August. “Hau-Moana came about because we needed more accurate wind fields to improve our ocean modelling,” she explains. “The global Climate Forecast System Reanalysis (CFSR) made public by the National Center of Environmental Prediction, is used globally, however it does not provide accurate wind fields for nearshore areas, particularly around NZ. For accurate ocean modelling, atmospheric forcing needs to account for coastal topographic effects, shoreline complexity, and ocean surface temperatures. New Zealand is subject to rapidly moving weather systems, and complex topography, which means that we require atmospheric forcing data at good spatial and temporal resolution. For the downscaling, the team used 0.312 degrees for sea surface temperature (SST) and surface fields such as pressure, humidity, temperature, etc. The modelling was done using 12-hour independent runs, discarding the first five hours to allow for model spin-up. The outputs were validated against data from 33 coastal sites around New Zealand and two offshore sites. The model was validated using weather data from 33 coastal and two offshore observation sites. NIWA Ocean Modeller Dr Mark Hadfield says that the Hau-Moana high-resolution wind field is a key component in improving modelled circulation in the Cook Strait. The Hau-Moana data set is freely available upon request - contact us at info@moanaproject.org if you would like to access it. For more information about the Moana Project, visit the website: www.moanaproject.org. Higher-resolution atmospheric modelling improves the modelling of waves and currents. Left-hand images show the CFSR and WRF model outputs for mean wind speed (m/s) (top) and mean significant wave height (m) (bottom); right-hand images show the difference between the two, with negative values in blue and positive values in red. The Moana Project proposal was submitted to the Ministry of Business, Innovation & Employment's (MBIE's) Endeavour Fund earlier this year and has now has passed the first of two assessment hurdles. In June, the initial assessments were released, with the Moana Project assessed as being scientifically excellent. This is great news because the Project can now be considered for full government funding. In the next phase, the Project will be evaluated on impact. "The Moana Project will deliver a wide range of impacts," states Science Leader Prof Moninya Roughan. "It will provide vital information about our ocean, which will improve the efficiency and reduce risks for marine-based industries. All information generated will be freely available, facilitating and enhancing research and development. The improved models will be instrumental for marine connectivity and pollution dispersal studies." MBIE will announce the final funding decisions in September 2017. The Moana Project was has passed the excellence assessment, and will now be assessed for impacts. 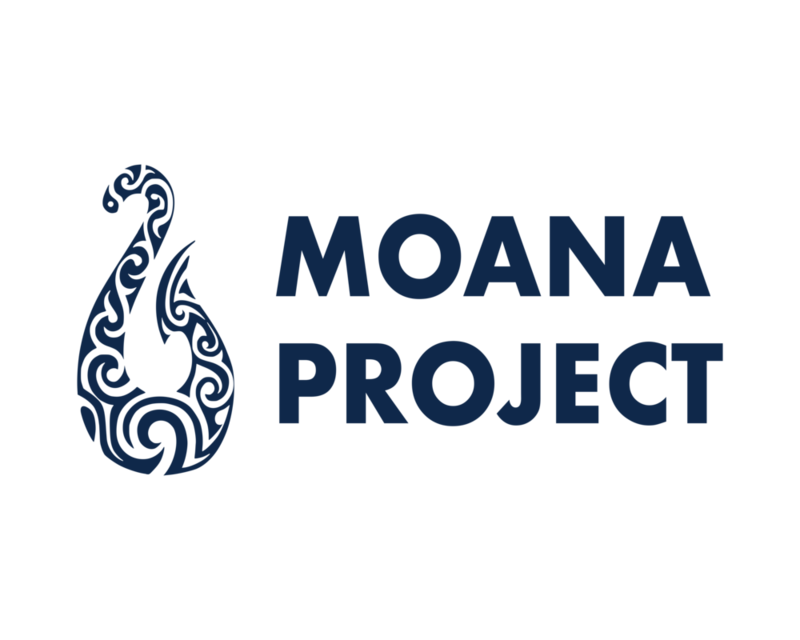 On 7 March the Moana Project proposal was submitted to the Endeavour Fund administered by the Ministry of Business, Innovation and Employment (MBIE). The New Zealand Exclusive Economic Zone (EEZ) is vast, and good information will help sustainable management and development of our blue economy. 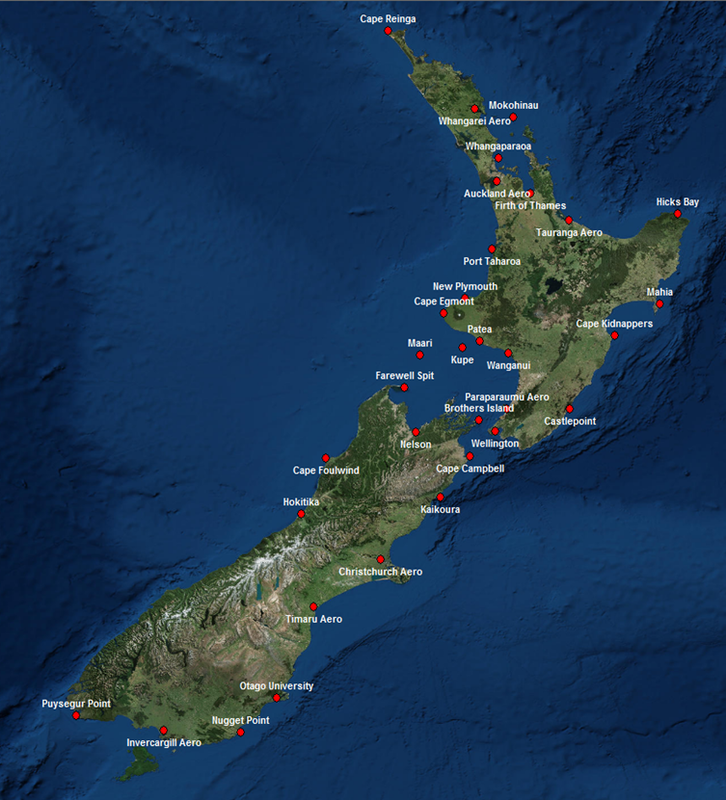 Setting up an open-access ocean data archive for New Zealand oceanographic data. Integrating observational data with current models using novel reanalysis techniques. Creating tools and products that bring ocean data to stakeholders, including marine industries and resource managers. MBIE will make a decision on funding later this year.